The snow leopard is a rare animal of immense beauty. But so elusive is the snow leopard that it is often referred to as the ‘Grey Ghost of the Himalaya’. ining a team of ecologists and explorers, Vikram and Aditya set off on an expedition to the Zanskar Mountains of Ladakh to search for the fabled leopard. Here, Vikram meets Caroline, a beautiful and confused American teenager. Though he befriends her he cannot understand her compulsive desire to come upon a snow leopard. The saga of Tsering, the young lama, also continues in this story. Despite having being thwarted by Vikram and Aditya, his kidnappers are not about to give in. 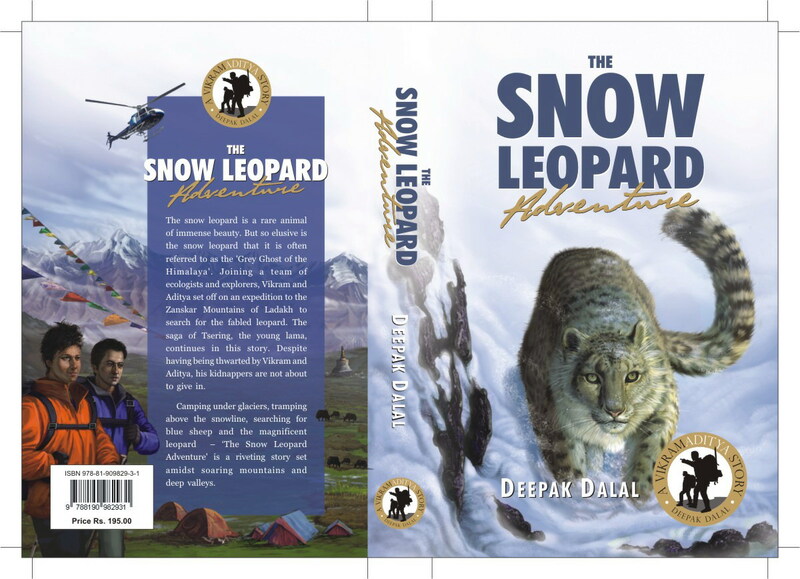 Camping under glaciers, tramping above the snowline, searching for blue sheep and the magnificent leopard – ‘The Snow Leopard Adventure’ is a riveting story set amidst soaring mountains and deep valleys.